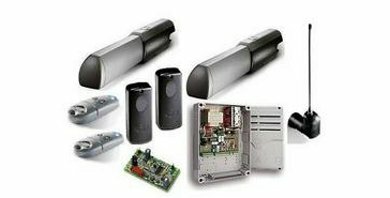 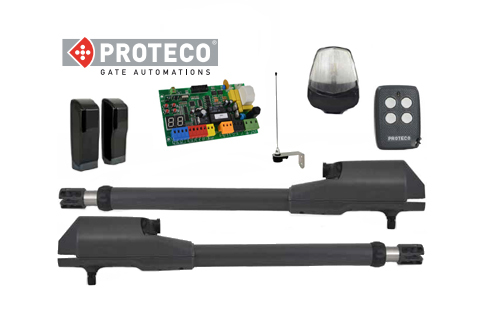 The FAAC 415 comes in a 230v or 24v version. 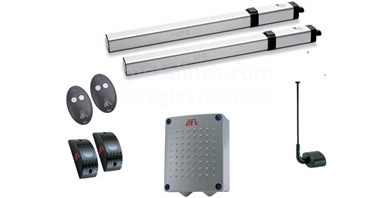 electromechanical operators with linear arms. 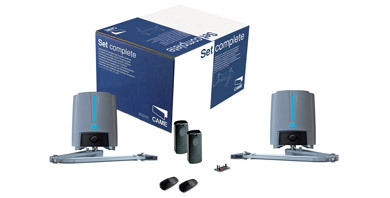 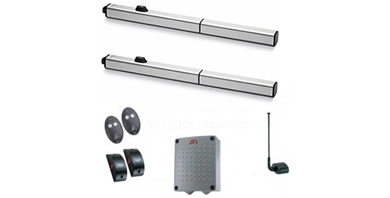 Double kit suitable for swing gates up to 4m and up to 300 kg in weight. 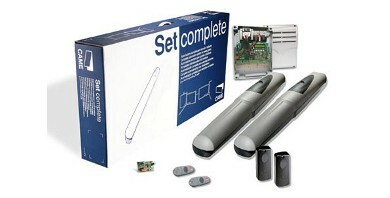 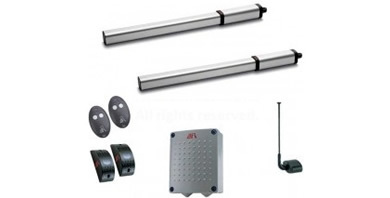 Option to have the normal version, 'Long Kit' or the 'Long Limit Switch Kit'. 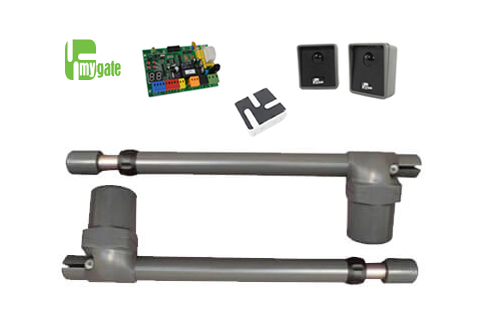 The BFT IGEA is an electromechanical operator with articulated arm for residential use, for swing gates up to 2.5m and 250 kg in weight. 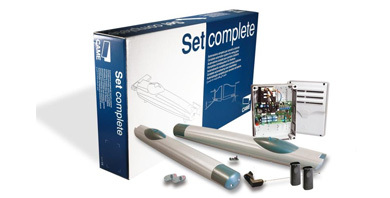 Ideal for installation on large-size pillars opening up to 125 degrees. 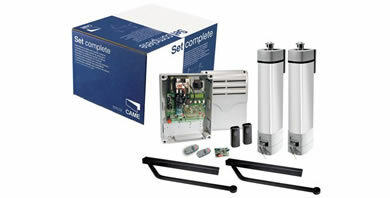 The BFT LUX is a hydraulic piston motor for very intensive use, suitable for any type of residential, industrial or multi-residence application. 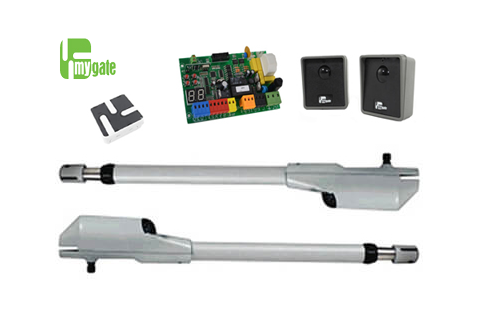 Can automate gates up to 3.5m in width and 300 kg in weight (depending on model selected). 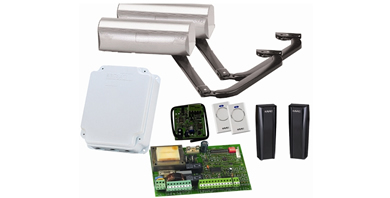 The FAAC 390 comes in a 230v or 24v version. 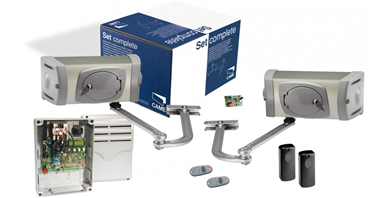 electromechanical operators with articulated arms. 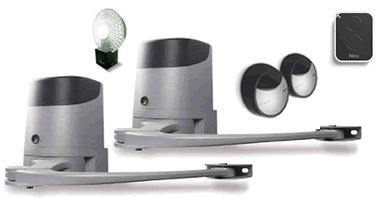 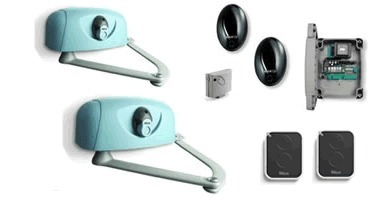 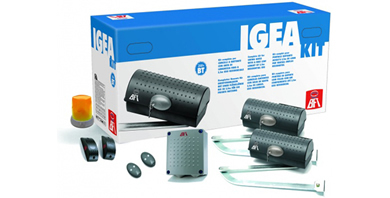 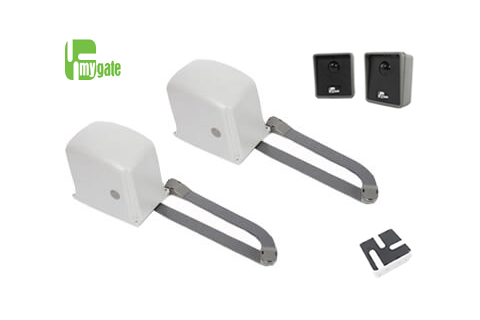 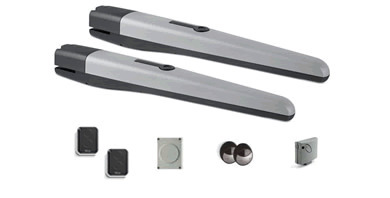 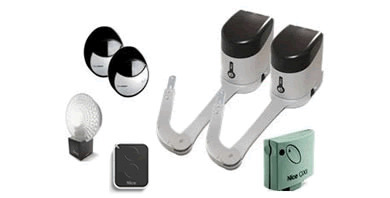 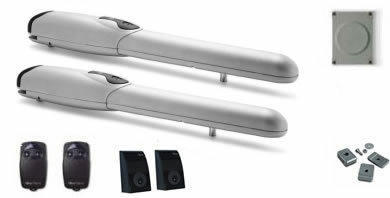 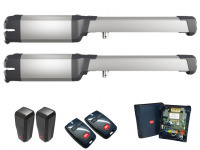 Double kit suitable for swing gates up to 3m (if used with electric lock, up to 1.8m without) and up to 300 kg in weight. 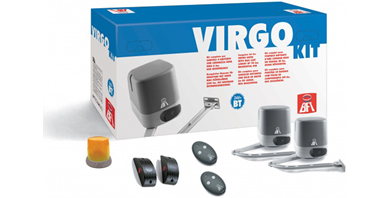 The BFT VIRGO is an electromechanical operator with articulated arm for residential use, for swing gates up to 2m and 200 kg. 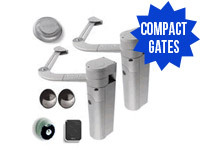 Ideal for gates hinged on large-size pillars. 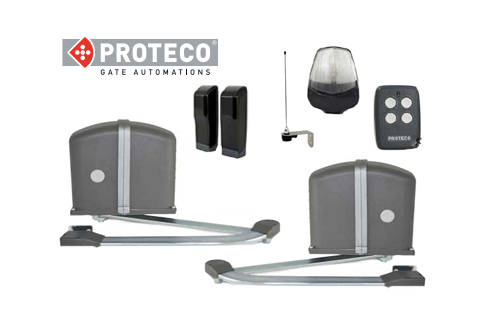 The BFT PHOBOS is an electromechanical motor for residential use, suitable for swing gates up to 5m and weighing up to 250 kg (depending on model selected). 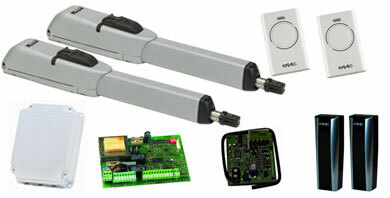 The BFT P7 / P4.5 is an extremely sturdy, rELIable hydraulic operator for residential and multi-residential use. 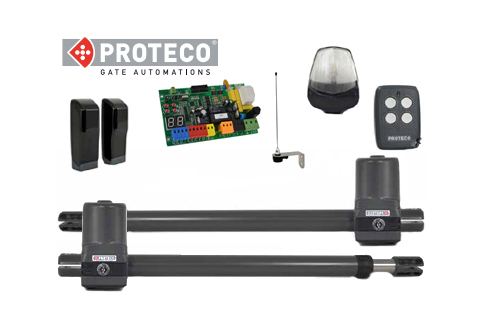 Can automate gates up to 7m in width and 500 kg in weight (depending on model selected). 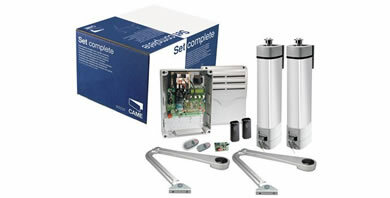 The BFT ORO is an extremely compact, sturdy hydraulic operator suitable for residential and small multi-residential use. 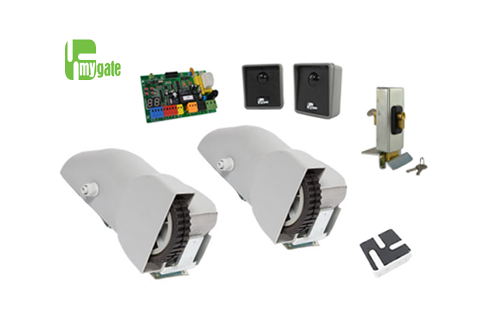 Capable of automating swing gates up to 1.8m each and weighing up to 180kg.